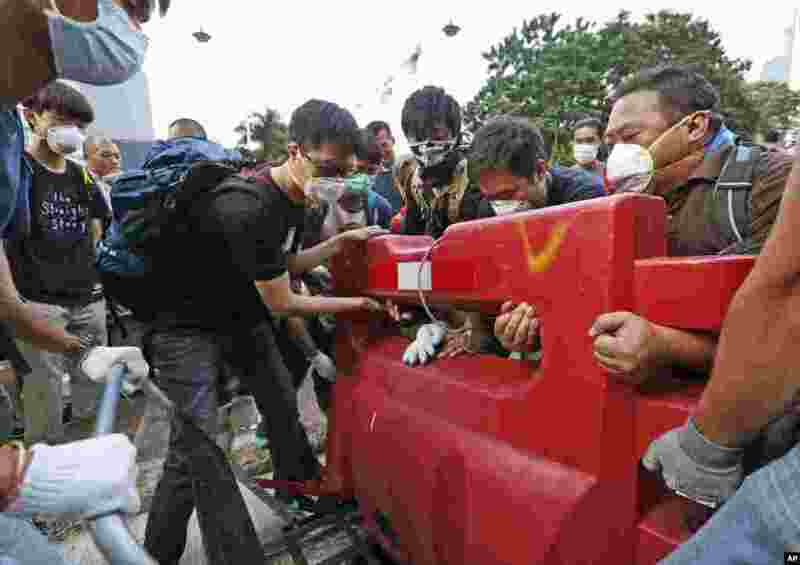 1 Pro-democracy demonstrators build a barricade on the main road in the occupied areas outside the government headquarters in Hong Kong's Admiralty district, Oct. 13, 2014. 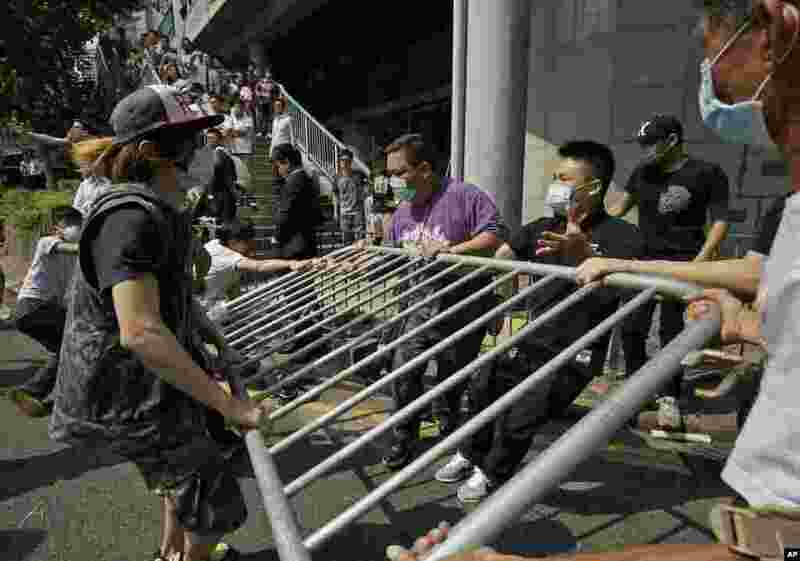 2 An angry crowd charged barricades used by pro-democracy protesters to occupy part of downtown Hong Kong, as a standoff with authorities dragged into a third week, Hong Kong, Oct. 13, 2014. 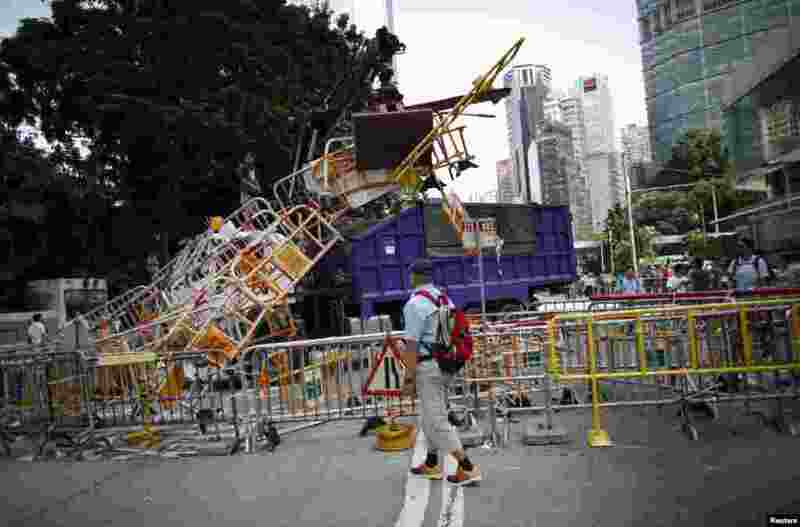 3 A crane removes barricades from the main protest site in the Admiralty district, near the government headquarters, in Hong Kong, Oct. 13, 2014. 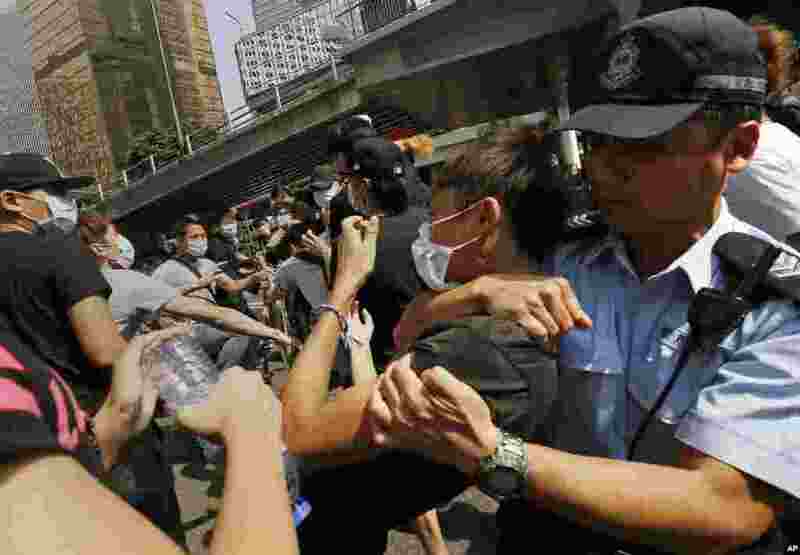 4 People wearing protective masks remove the metal barricades that protesters set up to block off main roads near the heart of the city's financial district, Hong Kong, Oct. 13, 2014. 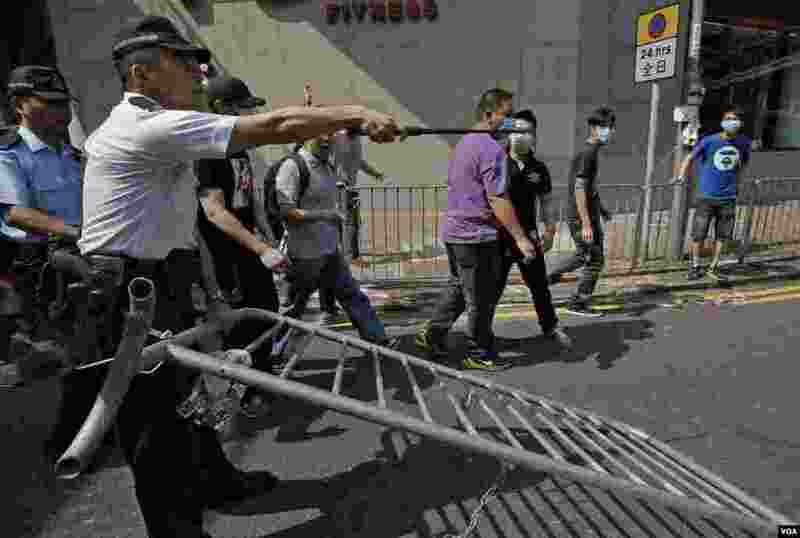 5 A police officer tries to stop a man who is removing the metal barricades that protesters set up to block off main roads near the heart of the city's financial district, Hong Kong, Oct. 13, 2014.